Once a French colony, the region formerly known as Middle Congo, gained its independence and became The Republic of the Congo in 1960. Since then it has undergone significant political troubles, government transformations from Marxism for twenty-five years to democratic briefly, a civil war led by rebels and finally a peace accord in 2003. 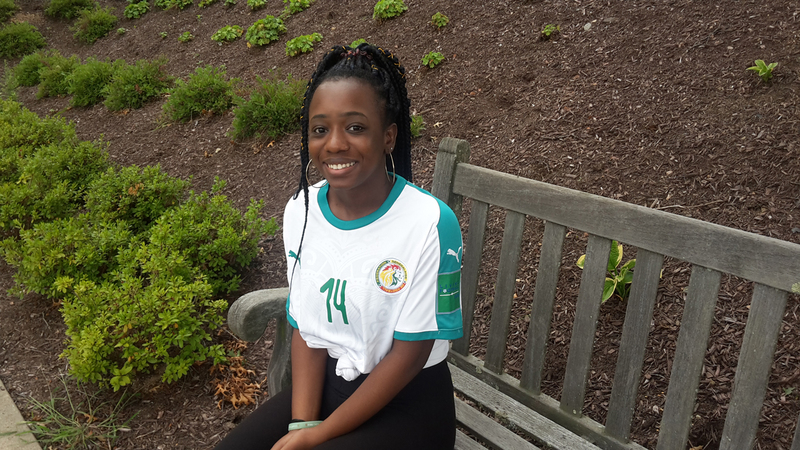 University of Scranton student, Audrey Nlandou ’19, International Studies major and French minor, will present The Republic of the Congo at the next Global Insights luncheon on Thursday, Oct. 18, 2018, in the Rose Room, Brennan Hall Room 509, beginning at 11:30 a.m. Registration at the link below is required to attend this event. Born in the capital of Brazzaville, Nlandou has lived in many places while growing up – Congo, France, Tasmania, Senegal and the United States. Her family mainly resides in Pointe Noire where she visits yearly. One of the interesting facts of the Congo, she says, is that the first residents were native tribal Pygmies whose numbers have since dwindled to only 1.6% of the current population. After almost three-quarters’ century of occupation, the French had a significant influence on culture here. For decades, the primary spoken language has been French, among many other old, native dialects. Nlandou has fond memories of living in Congo. Family games such as Ludo, and Uno and Monopoly were favorite pastimes. She misses the food, especially cassava leaves in sauce. “The forest is nice because it is mostly untouched and rich with lots of fruits such as plantains. The nature part is a draw for visitors, but most global travelers are there for business purposes,” she said. This program is being offered by the Office of International Student and Scholar Services, the Cross Cultural Centers, Residence Life and the Office of Equity and Diversity. A light lunch featuring cuisine from the highlighted country will be served. Registration for this event is required. Click here to register. For more information, please contact Huey Shi Chew at hueyshi.chew@scranton.edu or 570-941-7575.